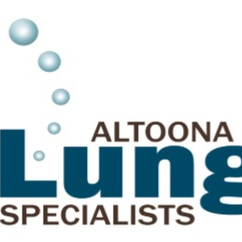 The Lung Disease Center specializes in lung problems in the adult population. We do occasionally see mature teenagers, but we do not provide pediatric services. Fortunately, there are several good and experienced pediatric physicians and services in our area. However, there is often information that comes across my desk that applies to younger age groups and I feel compelled to share it with you. Secondhand smoke is a problem for adolescents. In a recent study involving 7,000 adolescents, it was determined that 35% spent more than one hour exposed to secondhand smoke in a given week and were more likely to visit emergency rooms more often than those not exposed. There were three levels of exposure that were observed: living with a smoker, being exposed to secondhand smoke at home, and being exposed to secondhand smoke for an hour or more in the past week. Teens that lived with a smoker, had secondary exposure at home and had at least one hour of tobacco smoke exposure were more likely to report shortness of breath, difficulty exercising, wheezing after exercise, and dry cough than non-exposed teens. This study did rely on reports from parents and the teens themselves, and self-reporting studies can be associated with errors, but the overwhelming pattern is one of problems related to secondhand smoke. Although this study was about adolescents, the secondhand smoke was provided by adults. Adult smokers with children in the household need to be aware of the potential harm they may cause. March 4, 2019, 8:14 p.m.